About US -Studydhaba.com is A free Online Education portal for Providing Free Study Material For All Competitive Exams . 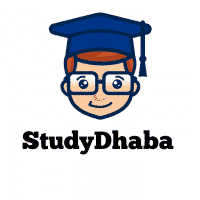 Studydhaba.com was started in 2014 for Providing Free Study Material for UPSC,SSC,Banking ,State level Exams . Defence Exams Etc . StudyDhaba.com is the comprehensive self-study package for UPSC CSE. This venture helps all aspirants who look for guidance outside the classroom coaching. StudyDhaba.com was started with a vision of quality, but affordable online education, giving stress to self-study. Our Main Aim is to provide Free Study Material For All Competitive Exams in India . We Want to provide Full Access to free Study material to Every Section of Society . Our Mission is to Provide Material For UPSC,SSC,NDA,CDS Etc . Our Philosophy is To Provide free Education to every needy Student all Over World . Every Student has Right to Education . he/She Should Get Education At any Cost. We promise that We Will provide high Quality Study material for Your Exam preparation . Providing Free Education And free Study Material to Every needy and Poor Student of India and from World.